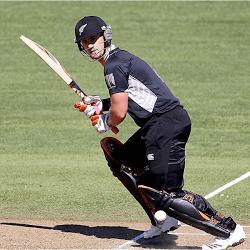 New Zealand Cricketer Neil Broom is fired up for his coming matches for New Zealand. The cricketer never thought he would find himself on the international stage again until a coach Mike Hesson called him up. He asked Neil to replace Ross Taylor in ODI games against Bangladesh. Taylor was deemed not fit for play as he is currently still recovering from eye surgery. Neil’s performance on Monday was deemed lacklustre but in his defence it is his first ODI game after having played domestic cricket for 6 years after his ODI debut in 2009. The 33 year old now stands the chance to potentially earn a spot back into the international New Zealand team, if his further performance against Bangladesh is up to snuff. Broom stated that he is fully aware what a chance like this, so late in his career, means. He has also stated that these games are his last chance to stamp his mark on the game and he will just be playing his way and hope for the best. Neil Broom is known for his hard hitting batting skills. His trademark is to send the balls flying over the infield. He believes the field for their match on Thursday is in his favour. The Saxton Oval is known for its slow wicket and Broom said that the Bangladeshi bowlers would not be able to work up enough pace to scare him as a batsman. This confidence will be very welcome indeed since New Zealand will be pitted against a hungry and mean Bangladesh after their 77 run defeat on Monday. Bangladesh also incidentally has the record for highest score attained at the Saxon Oval so with this in the back of the team’s mind they march forward. Fans are definitely in for an exciting game on Thursday with both sides out to prove a point and maybe settle a few scores. Undoubtedly many eyes will be on Broom for the next couple of matches. Both the team, their management and the fans want to see this talented player get his second shot at cricket glory and there are few honours more glorious than putting on the black. If things do not pan out for Neil in these upcoming matches, he will undoubtedly return to one of the local sides he has played for in the past. His stints have included playing for Derbyshire, Otago and Canterbury.